BizWorldUSA.com is the only choice in the world for professional and high-tech marketing to meet your needs. By joining this network, your businesses for sale will be exposed to over 1,000,000 businesses industry professionals. You can reach millions of business buyers, sellers, financial lenders, intermediaries, etc. High end technology marketing is key for the success of the broker. Effective marketing finds the right prospect. 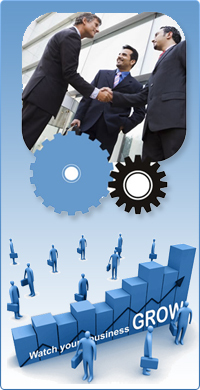 BizWorldUSA.com provides high end technology which leads to the quick sale of businesses. One of the most important factors is the presentation of the salient features of the business and BizWorldUSA.com provides written, audio, and video tools for effective marketing and success. In this fast world, to save your time and money, an effective marketing technique is audio and video presentation. The audio tool allows you or the seller to present the salient features of the business. Most of the time sellers are interested in sharing the greatness of the business and the buyer is excited to receive such information. The world is diversified with many languages and the biggest task is to get the buyer and seller on the same page. This audio tool helps the seller and buyer understand each other greatly and it removes the boundaries between the seller and buyer. Also, you can present your sales speech in many languages which not only increases your sales, it also increases your clientele. The only key to successes is effective marketing and with this your success rate will be high. Another great tool is video presentation. Relocation is a common practice in the world. People move from one business to another and from one location to another. Most of the time buyers ask their broker so many questions, such as how many coolers, how many doors, location, type of operation, business area, etc. Often the broker does not remember such details; hence, they fail to sell the business. Also, sometimes after location visits and all your efforts, buyers say they did not like the location, or it’s too small or too big, it’s not maintained properly, it’s not a good area, etc. With a video presentation, you are not only showing the business location, area, and inside and outside of the business premises, you can also interview a seller and pose questions regarding the business. This tool not only it increases your sales, but can also increase the clientele base both in your neighborhood and other locations, i.e. your business tertiary will also increase. Marketing: Business sale with the highest success have professional presentations. BizWorldUSA.com gives the opportunity to present your sales materials in written, photo, audio, and video formats. All are in your control and you can edit any time you wish. Liability: This is one the biggest setbacks facing brokers/agents from the sale of a business within a given statutory law. With these tools, you are greatly reducing your liability and staying away from all kinds of lawsuits. All information has been given by the parties and seen, accepted, and approved by you. 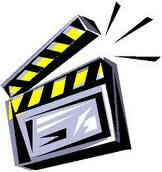 BizWorldUSA.com proudly says that we provide both audio and video presentation opportunities on your personal column. With such you can market your area, type, services you want to render, etc. The prospects, either seller, buyer, or intermediary, can utilize your services, making you the role model of a successful broker. The prospective buyer can download the NDA from BizWorldUSA.com without a call. You can track how many people have seen your advertisements, check the email sent by the clients, etc. BizWorldUSA.com provides a buyer profile worksheet which can help to qualify the buyer to buy the business. BizWorldUSA.com provides free model legal forms to assist you in completing transactions in a safe manner. 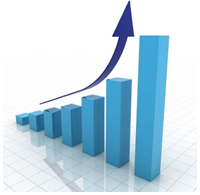 This is the best lead generator in the world and you will increase your sales significantly. You will be getting RSS feedback on listings. You can receive email alerts from prospects who are interested in your services. If you want to know more about the salient features of BizWorldUSA.com, have further questions on the features, or need assistance please contact us at info@Bizworldusa.com or 415-234-8833 and one of our experienced professionals will contact you.